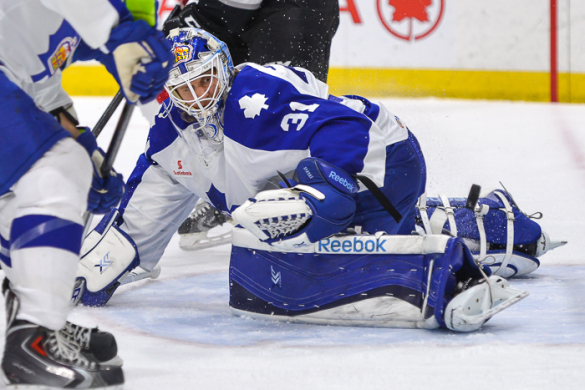 On Wednesday the Toronto Marlies cruised to a 5-0 victory over the Lehigh Valley Phantoms to take a commanding three games to none series lead in the Eastern Conference Finals. Carl Grundstrom, Andreas Johnsson and Mason Marchment staked the Marlies to a three-goal lead after forty minutes of play. Captain Ben Smith added a pair of power play goals in the third period. Garret Sparks had a relatively quiet night in net, having to make just 16 saves for his second shutout of the playoffs. The Marlies have a chance to sweep the series on Friday night when the two teams resume the series for Game 4, in Allentown, PA.